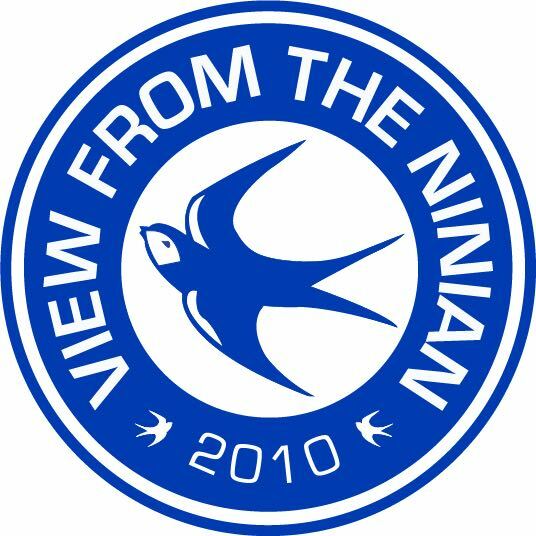 It’s Michael Chopra week at View From The Ninian and we were delighted to be able to catch up with Michael for an exclusive two part question and answer session. In this, part two of our Q&A, Michael answers questions from the VFTN team, fans and his former team-mates on Dave Jones, the ayatollah and Call of Duty… Enjoy! Michael, I’ve only just got over the play-off heartbreak at Wembley. Do you still think about that day? I think about that game pretty much every day. You’re talking inches and we would have won. You look at my shot that hit the bar in the second half and my chance in the first 10 minutes, that can be the difference between teams that win things and teams that don’t. It was heart-breaking because I could not have given any more. I was devastated. We had come so far with the players we had brought to the club, but I think one or two players let us down. A couple of people froze on the big occasion and some players didn’t play to their potential. I thought we would have built a team that would have definitely stayed in the Premier League. The players in that team were Premier League players; Joe Ledley, Jay Bothroyd, Steve McPhail, Mark Hudson, Kev McNaughton. They all should have been playing in the top flight. We came so close, but you have to go that one step further and we couldn’t do it. When you look at Charlie Adam’s free kick, to produce something like that in big a game, it’s what good players do. I’ve always wondered if the Ayatollah is something that’s told to players on their first day by the staff or other players, or is it something organic that you just react to on fan request on the pitch? You do get told about it, but I think it just comes naturally. You watch games on TV, you see fans singing it to the players and you question what they’re singing. Then when you get to the club and you ask about this and that, they tell you you’ve got to pat your head. It’s great that they do that. There’s a great relationship between the players and the fans, the fans appreciate what the players are doing and the players appreciate what the fans are doing. Do you regret any of the times you left Cardiff? Possibly, yeah. The first time, should I have left? No, I probably should have stuck it out for one more year, but I was desperate to play in the Premier League. I was also desperate to work with Roy Keane as well and to learn from him because he was a legend and had worked under Sir Alex Ferguson. I wanted to learn how he had become the player he was. The time I left to join Ipswich was a bit sour. After the play-off loss to Reading, I was getting blamed for going out before the Middlesbrough game after the Player of the Year Awards, when pretty much 90% of the team had gone out and no one was drinking. Then when I had a meeting with Dave Jones, he said there was only a small chance that he would be staying at the football club and he was one of the main reasons why I came back to Cardiff. We had a good relationship and we would text or ring every week, so for him to tell me that he might not be around, I was thinking that whoever might come in is going to totally dismantle the team and change the philosophy of the football club. So I left and I think a few days later Dave left. Had he hung around then I probably would have too. We both gave it our best shot to try and get to the Premier League and we failed. It was disappointing because I thought we were there against Blackpool, but it wasn’t to be. How nice was it scoring the winner against the jacks?! Even to this day, I still go on YouTube and watch it! It was amazing, not just because we won the game but also because we basically put a halt on Swansea getting in the play-offs and they hate Cardiff so you want to get one up on them. We did that and I still remember it to this day, everything that happened. I remember going back out after the team talk after the game and winding the Swansea fans up again. That’s what it’s all about. You’ve got to enjoy them moments. It was great because you could see how much it meant to everybody. VFTN – Cardiff seemed to be your happy place and you kept returning. Do you think that’s fair to say and if so, why was that the case? Yes. I think a lot of that was down to Dave Jones, who knew how to get the best out of me. I’ve also got to give credit to the physio, Adam Rattenbury, who looked after me outside football. He used to come to my apartment when I lived down the Bay and we would go out for food together or he would cook for me. He was one of the reasons why I did so well and obviously the fans too. They make you want to go that extra mile for them. I gave me all and I think they know I gave my all. Who is the best Call of Duty player you have ever come up against and are you still terrible at it?! Ha ha ha! I texted Kev about a month ago when the new one came out. He put a post on Instagram saying he had it and I asked him if he was still the best at it! Back then, there was about six of us that used to come home from training, get on the Playstation with the headsets on and play until about three or four in the morning. It was unbelievable. Then at training the next day we would have a laugh about the night before. The confidence in the camp was sky high. People would say there was big egos and there was a bit, but we all got on with each other and nobody disliked each other. We used to play Mario Kart on the bus too, the team spirit was phenomenal and I think it was partly down to that. Tell Kev I’m getting better! How close did you come to representing India at international level? I got my OCI (Overseas Citizenship of India) card, then it was a case of changing your passport. I applied for that and they said I had to live in the country for so many months, which I was doing while I was playing in India. Then I had a phone call with the manager Steve Constantine and we had a big bust up and I decided to not pursue that ambition. There was no point changing my British passport for an Indian one, so I came close, but on the other hand I didn’t and that was down to the manager, who probably wouldn’t have picked me. What did playing in India teach you? I definitely lost my ego! When you play in the Premier League and the Championship, you get fans acknowledging you, when you go to India and you see the poverty there, you see what life is really about. There are people that are not so fortunate in the world and we were living in a 5-star hotel. As soon as you step outside, there are people lying in the street. Going to India and seeing those sorts of things, visiting orphanages, that sort of thing brings you back down to earth and that’s what I needed at the time. VFTN – How do you now feel about football? Do you watch much? Are you still actively involved in the game? I still watch football as much as I can and you take notice of all your old clubs. I was at Newcastle two weeks ago and I was at Sunderland three weeks ago, speaking to the coaching staff there. I’m trying to keep myself involved in football as much as possible, it’s been a part of my since I was nine-years-old, when I first signed a contract with Newcastle. VFTN – How are you finding retirement? A lot of players seem to struggle without the structure and attention. Did you have plans for your retirement and what are you up to at the moment? I’m based in Amsterdam at the moment, where I work with a sports agency. I met people from Ajax at a conference in India and that’s one of the reasons I’m here. I’ve been here for about a year now and things are going well. I’ve got a new baby and I’ve got my other little boy with my ex-wife back in Newcastle, he’s 10 and football mad. It’s different to Newcastle and Cardiff in that you can walk the streets without getting recognised. VFTN – Now that you’ve retired, how do you reflect on your career as a whole? Did you achieve everything you set out to achieve or do you have regrets? You can’t have any regrets, can you? Looking back, I’m happy. I played for my hometown club and scored goals for them, I played in the Premier League, the FA Cup, in the Champions League against Barcelona and Bayer Leverkusen. I scored over 100 goals in my career, I’ve travelled the world. I’ve achieved a lot. I just wish I could add trophies to that. When people talk about their careers, they talk about the trophies they won and I don’t think I’ve ever won one. I’ve been in four finals and lost all four. I’ve enjoyed my career though and enjoyed my time at every club I’ve been at. I’ve had a laugh with different football fans, winding them up, but at the end of the day, I’m no different from them. Being a footballer is a job and I’m no different from anyone else. A huge thank you to Michael Chopra for sitting down with us for a two part Q&A series. We want to hear your favourite Michael Chopra moments, tweet us at @VFTNinian using #ChopraWeek.